Make-up is difficult to please everyone; we all have different skin tones, styles and schedules. This month we have picked 5 trends that work well with everyone. Although many have been calling this look "Sunset Eyes", I like to call it Autumn Eyes, we are incorporating in Autumn colors! Orange is making it big on eyeshadows. It looks great on any skin tone or eye color; it is soft like brown and makes eyes pop. Blend with dark brown on the outer edges and a touch of gold on the inner eye for a subtle smokey look that you can wear anytime. Berries and burgundy are also making it back this season and look great for a night out! Naked Heat can be found at Ulta, Sephora, or Department stores for $54. 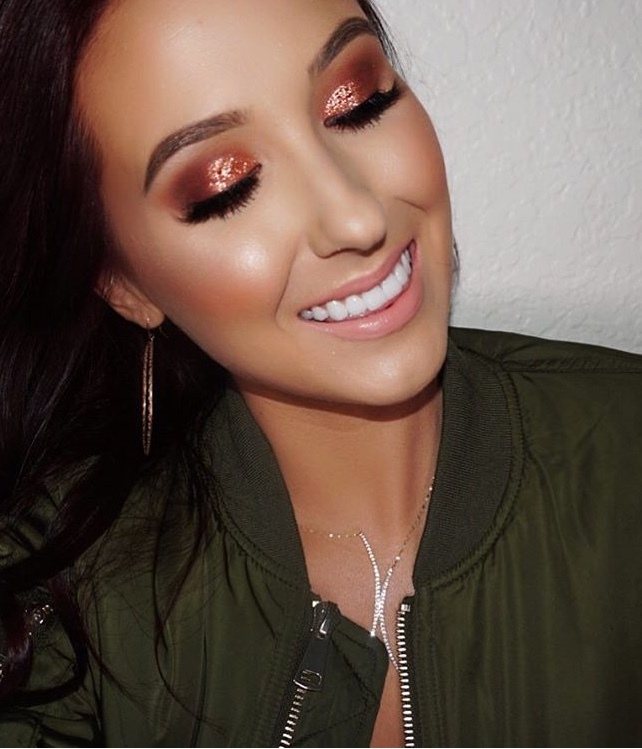 Here is the amazing Jaclyn Hill and her take on Autumn Eyes. The deep red, burgundy colored lips has made a come back, because why not? It's gorgeous and looks great on anyone! A little something extra to add to your bold look, that was a big trend on the runway, is the blurred lip. Apply your lipstick like normal, take your ring finger and soften the edges. There are tons of beautiful lipsticks to choose from, read here on some of the top ranked! Add a little tingle of peppermint to your vampy look. Stila Color Balm for $22. Contouring is now a thing of the past. Highlighting has surpassed it. Get that lit-from-within glow by sweeping an illuminator across your cheekbones, above your cupid's bow and brow line. Anastasia Beverly Hills is the queen of highlighters and has five glow kits to choose from. Step out of your comfort zone and try one of these fun colored highlighters from the Sweets Glow Kit. Not falling too behind is Kylie Jenner with her new line of "kylighter" singles. 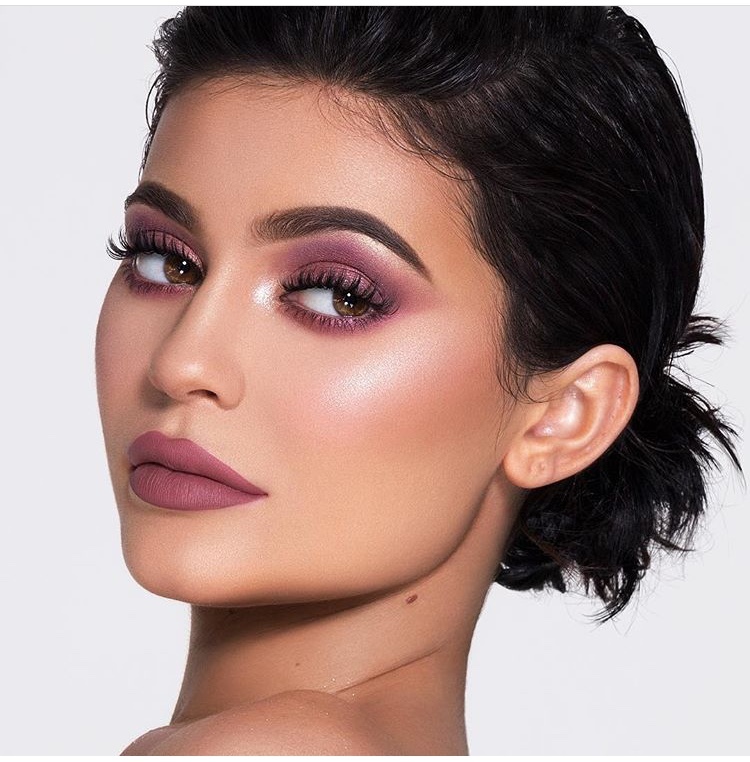 Kylie Jenner wearing Queen Ultra Glow. It is like it has always been said, history repeats itself. Bold blue eye shadow is back and more glamorous than ever. Pair your blue eye shadow with light lip and cheek colors to balance out. 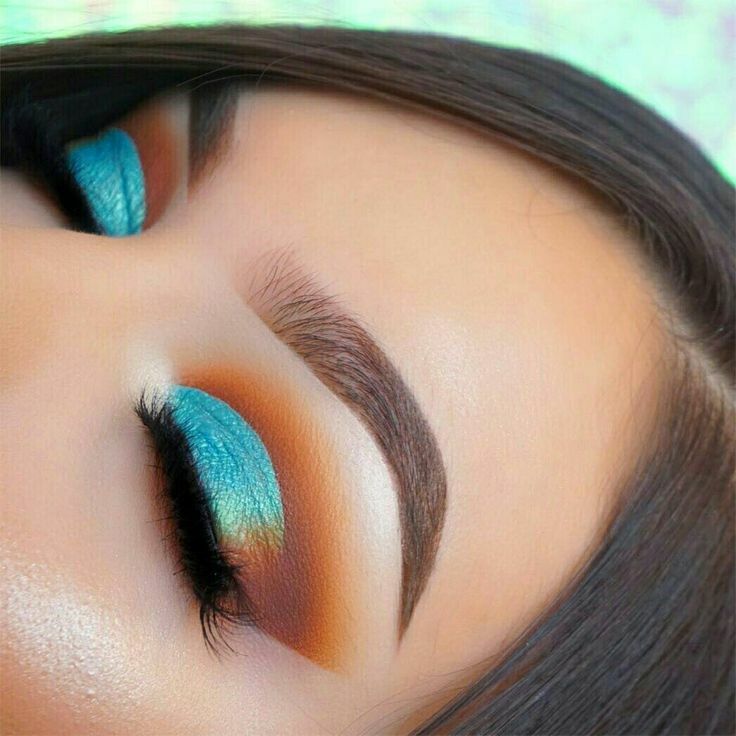 This season, wear your bold blue on the lid and blend orange and brown into the crease. Another way to wear this hue, is blend on your lower lash line, with pinks or peach tones on your lid. Something big has changed on the runway this year. Twiggy lashes and noticeable lower lashes. The name Twiggy comes from '60's supermodel Twiggy Lawson. Instead of trying to define every lash individually, makeup artist are applying individual false lashes to the thickest part of your own. Read here on how to get the look in 8 simple steps. We hope you enjoyed this month's post! Let us know which Fall trend you choose to try!